Home ishqbaaaz Ishqbaaaz 29th June 2018 Episode Written Update "Shivaay-Anika's Eye Lock Love Saga Start"
Ishqbaaaz 29th June 2018 Episode Written Update "Shivaay-Anika's Eye Lock Love Saga Start"
Anika sees Manju trying to hide something in the bag, Anika finds the valuables of Oberoi Mansion, Anika gets angry. Anika takes the valuables back to Oberoi Mansion, lights turn on, Shivaay comes in front of her. Both get shocked. 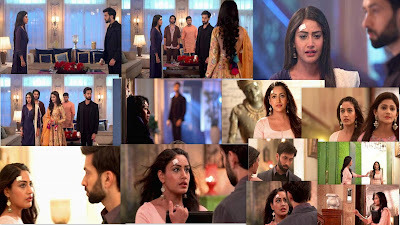 Shivaay confronts Anika angrily, Omkara, Rudra and Priyanka come. Priyanka tells Shivaay that she brought Anika to Oberoi Mansion, Shivaay starts insulting Anika. Priyanka tries to stop Shivaay. He accuses Anika to be greedy and trying to trap Priyanka and refuses to listen to Anika. Priyanka tries to tell the truth. Anika apologizes to Priyanka and decides to leave, Priyanka stops her and apologoses to Anika for her insult. Rudra supports Shivaay. Dadi stops Anika from leaving as Priyanka has brought Anika with respect. Dadi reminds Shivaay that he cannot disrespect the guest. Omkara asks Anika to go to sleep. Shivaay says there is a limit of besharami for staying in the Oberoi Mansion even after the insult, Anika cries. Shivaay hears Anika's cry as he is passing by the driver's cottage. Anika gets shocked and walks away. In the night, Dadi asks Khanna about Anika. Khanna tells good things about Anika and Gauri to Dadi. Khanna tells Dadi about Manju Chachi's greedy behavior. Dadi worries about the past of Oberoi family and Shivaay getting know about it. Dadi gets worried about Anika and Gauri's existence in Oberoi Mansion as it may create a problem in Shivaay's wedding. Khanna assures Dadi about Anika. In the morning, Rudra tells Dadi about his modeling assignment. Omkara informs about his and Shivaay's business achievement. Dadi gets happy, Anika enters the house, Shivaay sees her. Priyanka gets worried about her Roka preparation and takes Anika with her. Shivaay and Anika keep looking at each other. Priyanka gets hyper, Anika tells her to relax. Priyanka gets a call from her fiance and asks Anika to get list file from Dadi's room. Anika mistakenly enters Shivaay's room and gets feels a connection to the room. 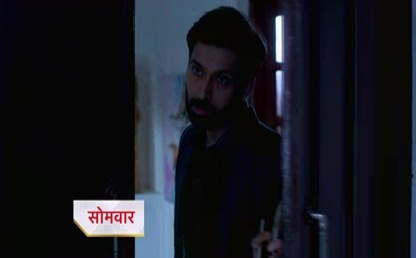 Anika takes the file, as she leaves the room, Shivaay comes in front of her, Anika tries to leave as both don't wish to talk about the previous night. As Anika tries to leave, Shivaay mistakenly keeps occupying the way. Finally, Anika manages to leave and feels awkward once out. Shivaay comes to Out House Anika is Struggling and Fighting with Someone in Dark Shivaay comes and Switches On the Lights.